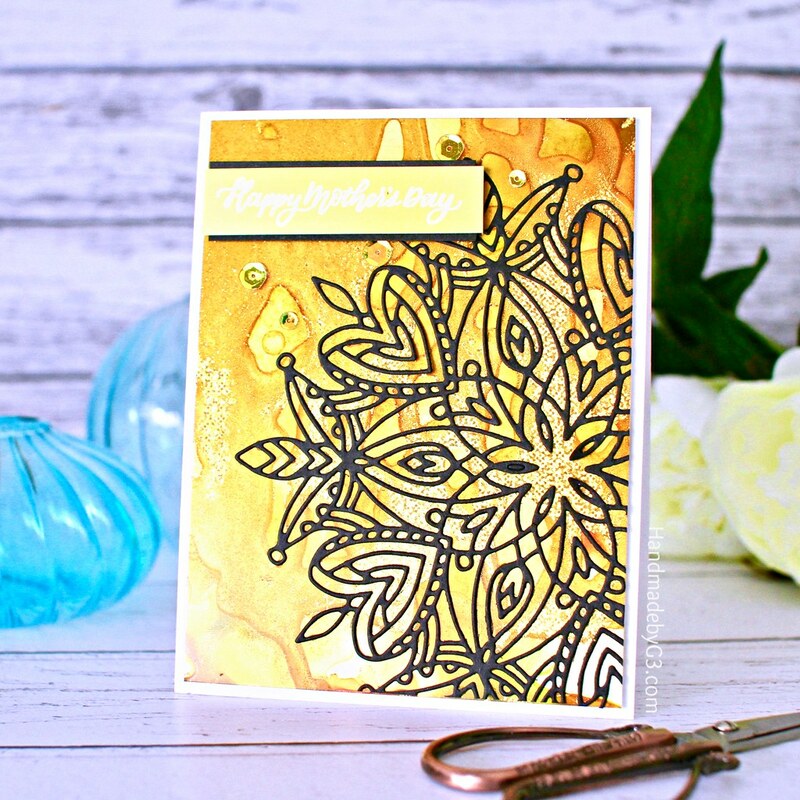 Simon Says Stamp Heart Mandala Die on Alcohol Ink Background + Video! Welcome back to my blog. 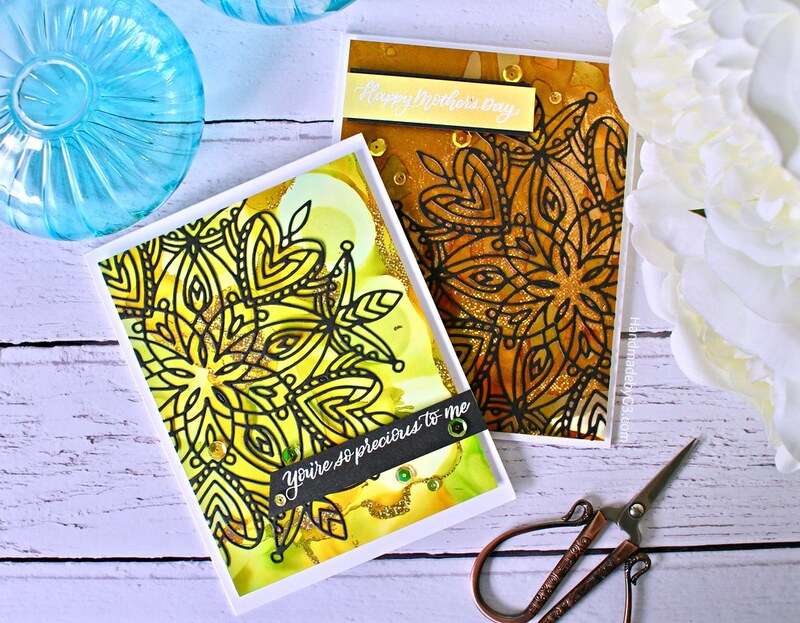 Today I have a card or two to share using alcohol ink backgrounds and Simon Says Stamp Heart Mandala die and Mom Flowers stamp set from the Fluttering By release. I also have a video showing how I made one of them. Hope you enjoy. 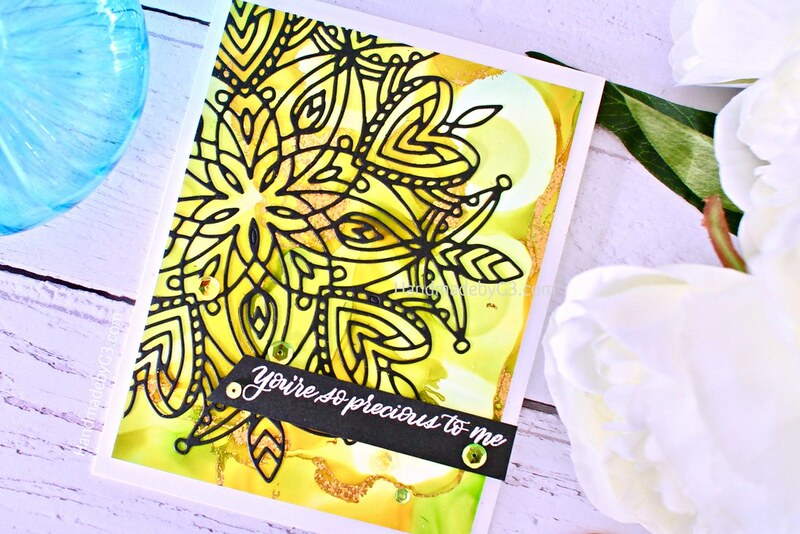 Absolutely love the Heart Mandala die. So pretty and detailed. The die makes a big focal point on the card. 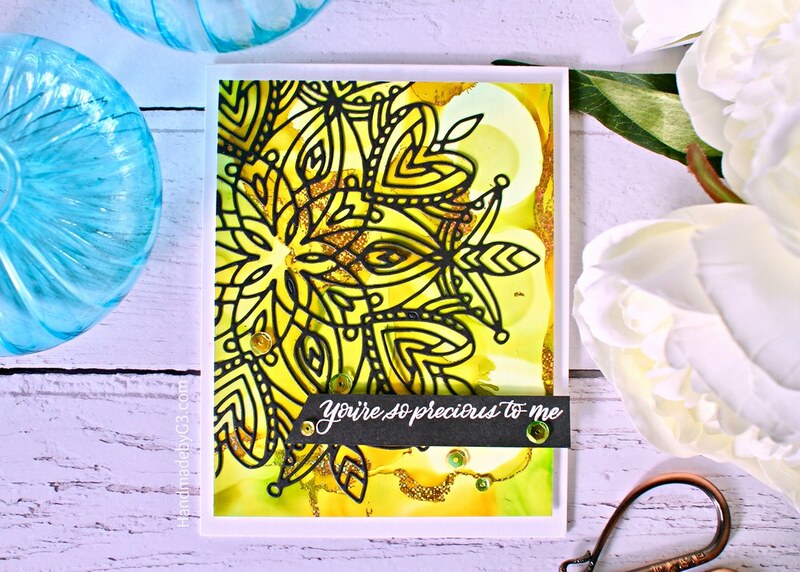 To highlight the die cut, I used alcohol inks to make the backgrounds. Love playing with alcohol inks. Best part is I have no control over it at all yet the result is organic and fabulous every time. The addition of foil to the alcohol ink backgrounds is a special touch. They are like the veins on a marble slab. Very cool and special. 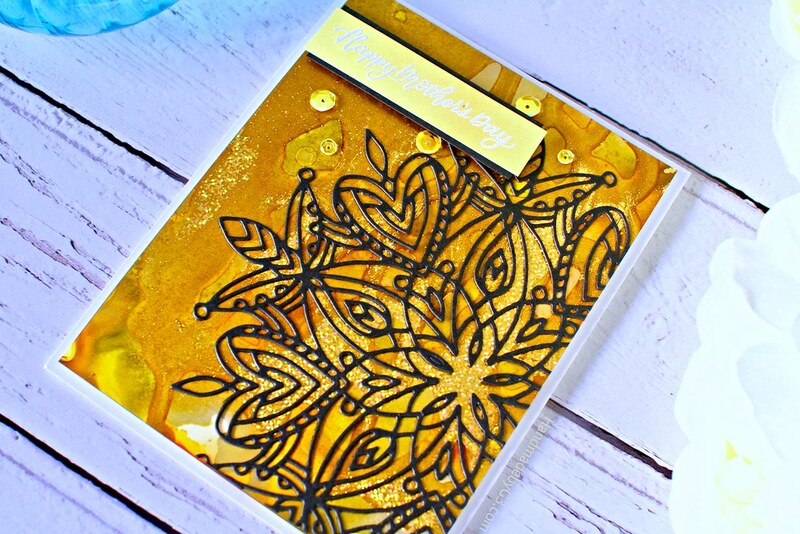 On my backgrounds I used Therm O Web gold holographic foil paper. Adds glittery shine to the background. Anyway, the video explains it all. Really love the gold holographic veins on the alcohol ink background. The delicate Heart Mandala is beautiful on the background. And I made another card using similar process as this card except the alcohol ink background turned out different. I did go over board on this background and the colours turned a bit dark. I still love it. So I made it into another card. I changed the sentiment from the same Mom Flowers stamp set on this card to Happy Mother’s Day. Here are more photos of the card. Hope you are inspired by my projects today. All supplies used to make these cards are listed below. 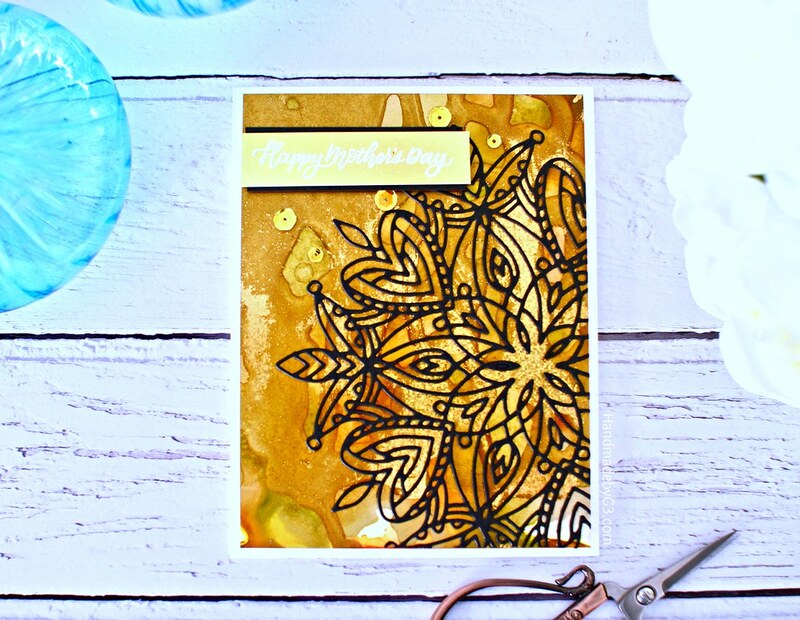 Beautiful cards, I love the alcohol ink backgrounds with this mandala die cut, so pretty!